In ancient Greece, an oracle was a priest or priestess who made statements about future events or about the truth. An oracle was once considered to provide wise and insightful counsel or prophetic predictions or precognition of the future, inspired by the gods. As such it is a form of divination. 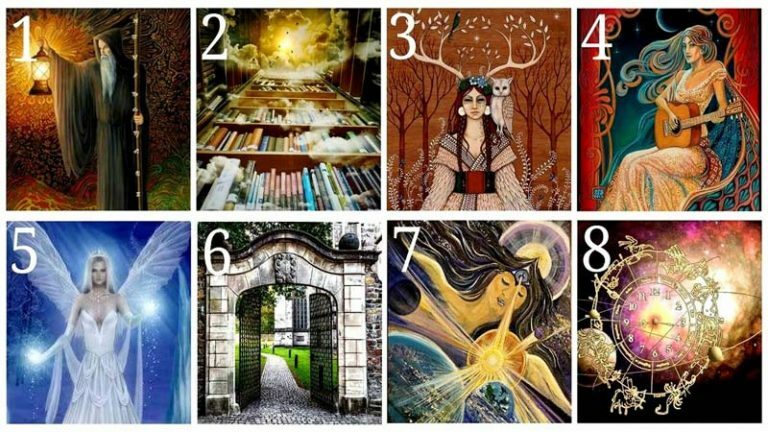 All you have to do is to calmly look at the pictures of these 8 Oracles for a brief moment: Which one caught your eye immediately? Scroll down and read the prophetic message each one reveals for you. You have many loving words to share, and a higher consciousness to be. In your own way, in your own world, in your own relationships, you are a light bearer and a bringer of truth. Although you have had past experiences where this was not always well received, and sometimes resulted in abusive behaviour towards you from those who were afraid of love, you have never closed off from your truth. You still know what you know. You may have become reluctant to share it so freely, but you cannot forget your inner wisdom. This oracle comes to you with a message. It is safe for you to be seen. In this lifetime, you are meant to be a spiritual leader of sorts, to bring through the light, peace, love and guidance that others around you need. Do not be afraid of their reactions. Some will love you for what you do. Others might not understand or may resist or even attack in fear, but in truth, you cannot be harmed. You shall always be what you are and no one can ever take that away from you. It is simply not possible. No matter how many times you have been blocked, denied, dismissed or abused, you find your way back to the truth of your heart, again and again. So your soul has learned over time that your spirit is indestructible. It has learned that the truth of love is always there for you. Love will always welcome you into its arms and you can feel at home within your heart, even if you don’t always feel at home in the fear-based belief systems that so many still consider to be reality. You have developed the strength of knowing your own truths. You have survived and healed yourself through situations that threatened this truth, and still you are here. You have heard lies and you have chosen to release them, and to trust in your truth. With your loving heart, on your spiritual journey, you have learned how to shine true. Protect your energy as you lift your vibration and frequency. As you continue on your spiritual path you begin to lift in vibration and frequency and you continue to experience new levels of love and light. Your energy body undergoes an essential transformation. These changes in the energy body require that past pain, and limiting views of self be released. When this happens and the pain comes to the forefront of your experience, it can definitely feel like you are taking quite a battering! Ask the Angels to surround you with their beautiful energy at this time. You may envision this energy as red, yellow or white in color, or in any color that resonates with you. Imagine this energy is filled with love and light. The Angels light energy serves to release any negative energy within its field into light. Visualize negative energy, entities, memories or stuck energy being released from your spirit, mind and body. When previous pain shows up, it may not be a clear cut memory of a particular past even or feeling of fear. This oracle comes with spiritual guidance for you. You have broken through a barrier, a self-imposed barrier of fear (whether it seemed to originate from within your consciousness or from an external set of circumstances) that held you back from taking the steps you are now taking, or just about to take. These steps may feel strange, new, uncertain and exciting. Your mind might not have received the memo that fear based existence is no longer in operation for you. It may need a loving, tender, reassuring and firm update that the relationship you have with fear is now rather different. You are the witness, not the victim. There is always enough! This picture represents good fortune, ambitions fulfilled, wealth, and prosperity. It may also indicate emotional fulfillment, as perhaps you are entering a time of happiness that is long overdue. The message here is that self-worth is not measured by what you have, no matter how abundant your life is. Instead, it comes from what you are, how authentically you are living your life, and how much love you are willing to share. Granted, receiving this card does indicate material gain and a furthering of tangible rewards. But things come and go, and knowing your true value leads to even greater riches now. Share the wealth with others. So let go of any tight hold you have on what you believe security should look like. Now is the time to conserve your energy and count your blessings. Resist the pull to become miserly. There is always enough money, love, youth, food, and shelter to go around. A mind set of fear and lack will shut off the flow of true abundance. Trust in the tides, because the flow always returns from the ebb. “Chop wood, carry water,” as the Chinese proverb says. Practice faith and the treasure will be revealed. In fact, you will find it in plain sight! Every life is a teaching tool for others. Your authenticity and honesty are an example to those around you. You are being called to lead others by example. Your wisdom has been earned as a result of your bravery in the adventure of your life. The experiences of battles won and lost, places discovered, tears shed, and joy revealed have placed you in a unique position to be of service to others. Your suffering has been crystallized into a talisman of wisdom. Now you must share it. By being fully authentic, you will lead others into the light. You will be required to divulge some things about your past so that you may help someone else. Lead with love. There is another message here as well. Look to those whose great character and accomplishments you admire. Emulate the leaders you respect. You will then in turn have more to offer. In a relationship or partnership, be the one to voice what must be said. Muster your courage and speak your needs aloud. Affirm what you like and what you feel. Do not just hope for someone else to fix the problems you see. Your time for manifestation, for the fullness of success, is either upon you now or close at hand. It will come, and soon. Now is not the time to force anything or try to grasp control. Even if it seems as though you are losing the very thing you want to hold onto by letting go, do it anyway. If you try to maneuver events you will just get in the way. Let go with patience, trust and serenity. This message is to trust in what you feel beneath the surface of things rather than what appears to be…. It indicates a quickening on your path into accelerated manifestation of your desires into physical form. You are being asked to trust unconditionally. So even if all appears to be going backwards at an alarming rate, do not give in to doubt, do not dispense with trust. The ocean appears to pull back in order to build another wave that will soon reach the shore. So it is with the unfolding of life and the mysterious workings of grace. You must trust unconditionally. There is no need for fear or anxiety here. Although it may seem unfamiliar or strange to you, it is completely appropriate to wait and rest to allow life to have its way. When it is time for you to act again, to take flight by using you won wings, you will feel the air lift you and naturally, flight will happen. The oracle gives an indication of timing that this fulfillment, this manifestation, is close to happening, if it hasn’t already begun. Here is a chance for rest and recovery after the challenges and various lessons that have recently been coming your way. The Swan Goddess is offering you the option to retreat into a calm environment to replenish your energy and regain your composure. There is a need to stabilize your energy and recognize that you have been wrapped up in a stress filled time. Brief periods of respite will enable you to improve your energy levels and concentration, as well as bring greater peace to your heart. This will set you up to start anew. No matter how big the task you are involved in, times of recovery, including a good night’s sleep, are important to heal the body and reset your mind back to positivity. Regardless of what you are facing, Swan Goddess is gently reminding you to surrender this challenge for a while. You can take time for yourself knowing that when you are ready, the task will be there for you. If you are trying to make a decision or change, this may not be the best time. Give yourself a much needed break and decide once you have a clearer head. A new opportunity is coming your way, but in order to grasp it you must love, accept and embrace the many aspects of your personality. You can do this by listing all the things you like about you and then listing all the thing you do not like. These are usually the things you try to hide from others, feel uncomfortable about or are ashamed of. Original title CHOOSE YOUR FAVORITE ORACLE TO RECEIVE HER PROPHETIC MESSAGE FOR YOU! 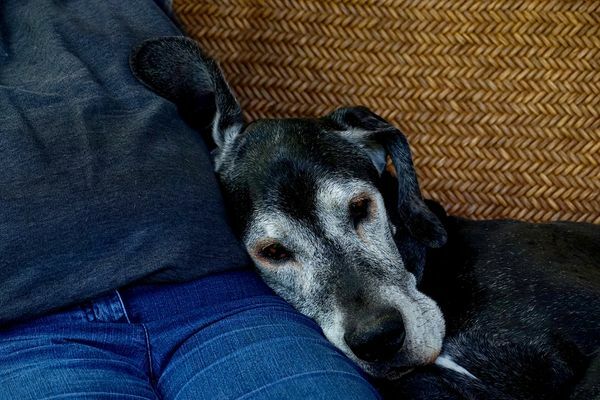 There is a prayer for a dying pet and a short pet funeral prayer, suitable for a memorial service or however you choose to mark their passing. There is also a prayer for when a dog dies. May the Lord of all compassion comfort you with his love at this sad time. Whether you have a question to ask him or a choice to make, you will learn how to communicate with him.